Thank you to Christie Clinic for sponsoring our 2018 Champaign-Urbana Area Back to School series. 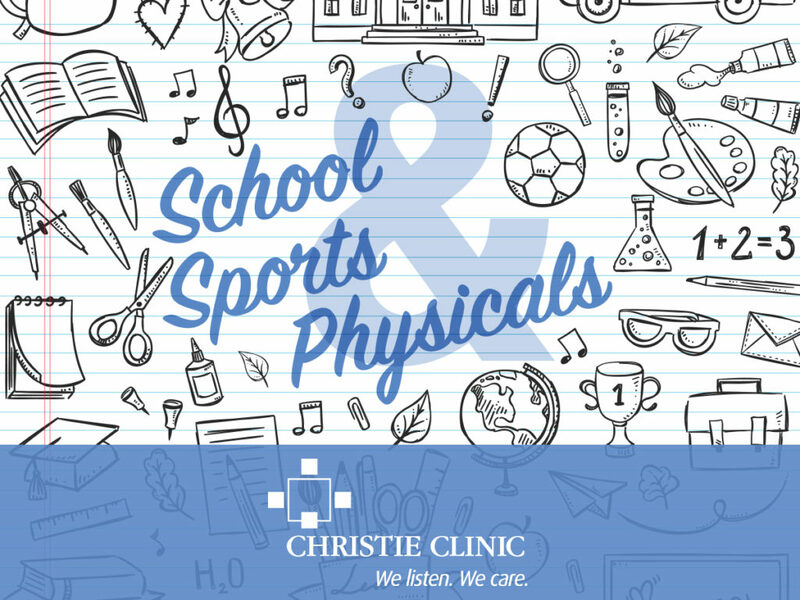 Schedule a school or sports physical by calling your provider. Or, if you are an existing Christie Clinic patient, you may schedule online using your MyCare patient portal account. A listing of special school and sports physical clinic dates and times are available at www.christieclinic.com. These will require registration and the child must be accompanied by a parent or legal guardian. If possible, please any pre-completed, required forms and immunization records. 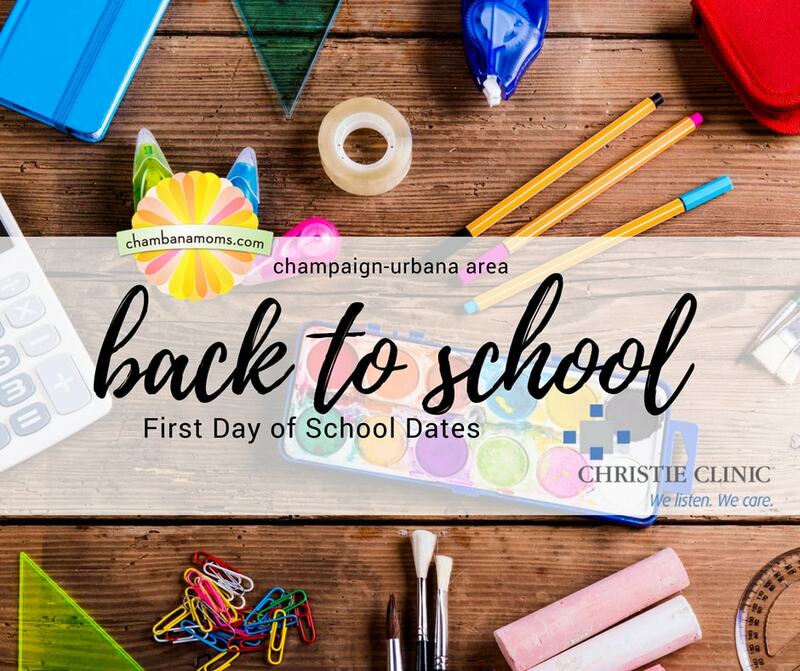 This article is a listing of public school start dates for communities in and around Champaign County, including Champaign, Urbana, Mahomet, Monticello, Fisher, Rantoul, and more. Why is it important for the public to know this information? For one thing, the start of school also means the time when drivers need to be extra careful on the roads, with many more children out and about walking and biking to school. It’s also when yellow buses return to our streets, after a summer with few yellow buses out and about. Please visit our Champaign-Urbana private school guide for information about other schooling options in our community, both religious and secular. School Start Dates have been collected using information from schools. Please contact the schools directly with questions. Wednesday, Aug. 15: First student attendance day 1st -12th grades. Dismiss at 11:15 a.m.
Thursday, Aug. 16: First full day for grades 1-12. Kindergarten Screenings August 15 and 16, First Day of Class Attendance August 17. Thursday, Aug. 16: First Day of School- Early dismissal at 2:20 p.m. at elementary; 2:25 p.m. at high school; and 2:30 p.m. at junior high. Friday, Aug. 17: First day with early dismissal at 1:30 p.m. This list features public schools. Private school families, please feel free to add your start dates in the comments!